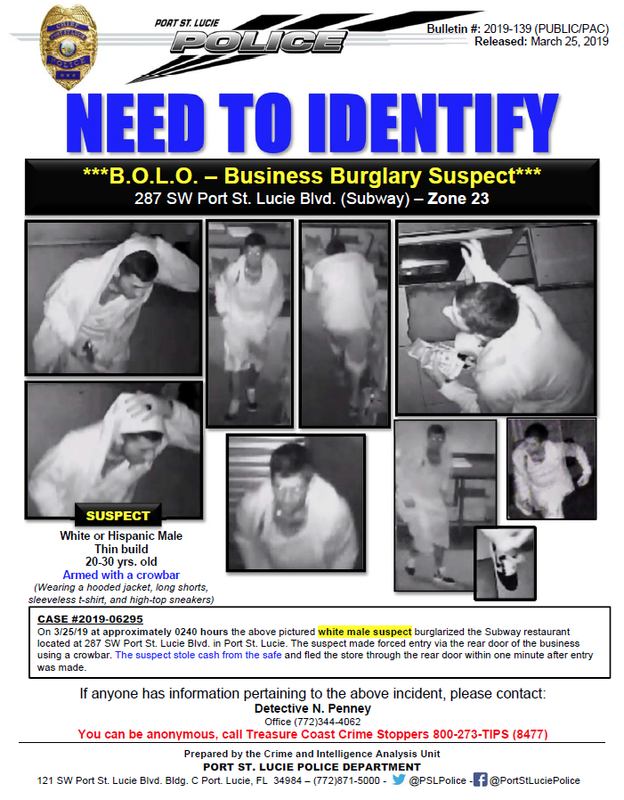 Port St. Lucie, Fl -On March 25, 2019 at around 2:40 am, a male suspect burglarized the Subway restaurant located at 287 SW Port St. Lucie Blvd. in Port St. Lucie. The suspect made forced entry through the rear door of the business using a crowbar. The suspect stole cash from the safe. He then fled the store through the rear door within one minute after entry was made. Police viewed the video surveillance from Subway. Suspect possible a White or Hispanic Male, Thin build, approximately 20-30 years old, armed with a crowbar. The suspect was wearing a hooded jacket, long shorts, sleeveless t-shirt, and high-top sneakers. Police are asking if you have any information on this case, please contact: Detective Penney 772 344-4062. 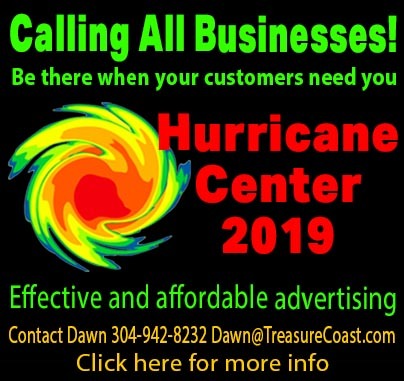 You can be anonymous, call Treasure Coast Crime Stoppers 800-273-TIPS (8477).